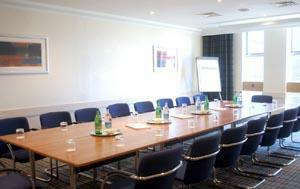 The Holiday Inn Leeds-Wakefield M1, Jct. 40 enjoys an excellent location 9 miles south of Leeds City Centre. It is situated off Junction 40, M1 and only 2 Junctions away from M62 Motorway. With complimentary car parking for up to 180 cars our versatile packages have something for everyone. The Holiday Inn Leeds-Wakefield is part of the world’s most recognised hotel brand and prides it’s self on bringing you that personal touch. Whatever your requirements we offer a variety of facilities such as 104 bedrooms including 12 executive bedrooms with high speed internet & air conditioning, Traders Bar & restaurant, 8 conference and function suites all with natural daylight & air conditioning and accommodating up to 160 guests.